With Mardi Gras coming up, I thought these cinnamon cookies would be perfect to bring to a party or a parade snack! I added some Mardi Gras colored sprinkles to make them more festive! I would recommend greasing the pan before baking, they did stick to the pan. Set oven to 300 degrees. Cream butter and sugar. Add egg yolks, flour, baking powder and cinnamon. 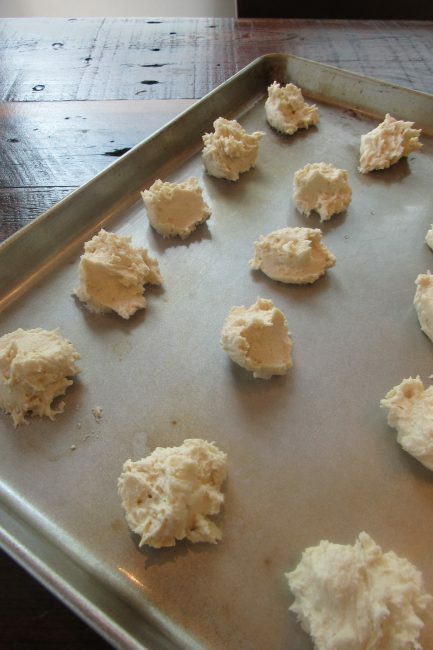 Spread thin on an ungreased cookie sheet. Over this spread two egg whites stiffly beaten. Sprinkle with chopped nuts. Bake for 40 minutes. Cut into squares to serve. Below is a photo of the finished cookie! With Valentine’s Day coming up, I thought I’d share a healthy treat to share with you and your loved ones. In case you didn’t know, RRR 3 is the healthy cookbook so I found some tasty chocolate cookies that will crave your sweet tooth! Cream oil and sugar. Add eggs and vanilla. Blend well. Combine flour, cocoa, soda and salt and add to creamed mixture. Stir in pecans. Drop by teaspoonfuls on ungreased cookie sheet. Bake in a 350 degree oven for 8-10 minutes, being careful not to over-bake. My batch made much less though, but my cookies were larger. Each cookie has 52 calories. This is significantly lower than any store bought candy. Here is a link for calorie comparison in candies as well as photos of my cookies! 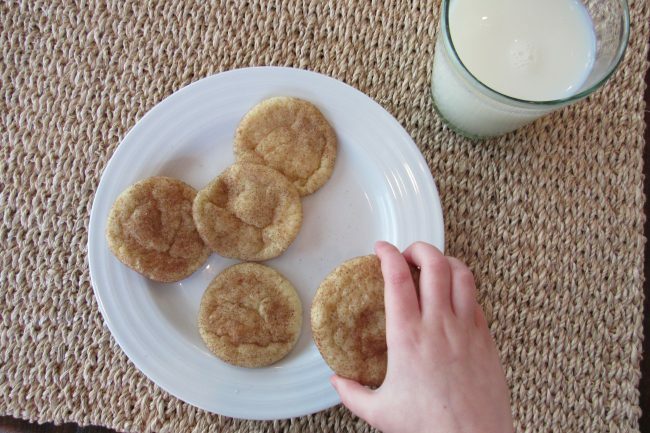 Kids in the Kitchen: Snickerdoodles! The recent blast of cooler weather here in Baton Rouge (it dipped below 60° today!) has us wanting to snuggle up with our loved ones and a yummy snack! Cinnamon always seems to pair nicely with chilly temps, so we are busting out one of our favorite cookie recipes: Snickerdoodles! 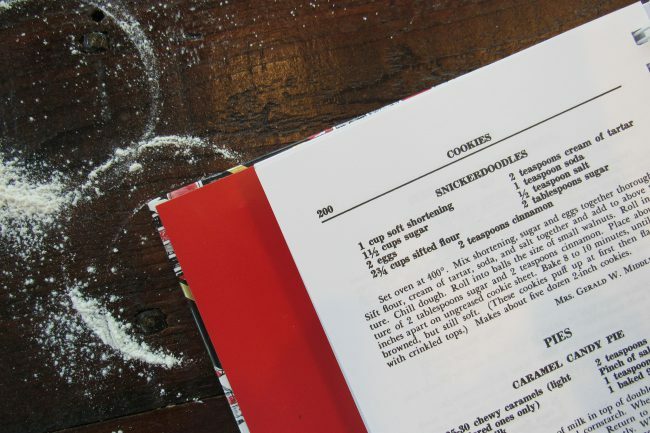 Whipping up this classic recipe is a great way to spend an afternoon with the kids, especially when they might be going a little stir crazy from being cooped up inside during the winter months. It’s never too early to start cultivating a love of cooking, and children love to feel helpful. 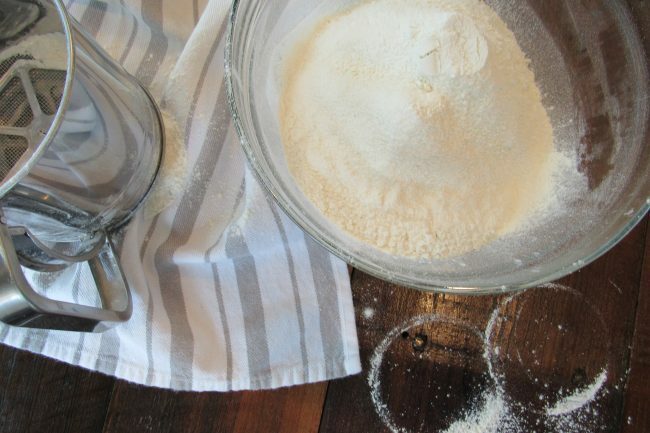 Even the littlest members of your family can get involved – starting from the time your baby is able to sit up on his own, you can help him “help” you scoop ingredients and pour them into the mixing bowl. Toddlers are naturally curious and will enjoy tasting each individual ingredient, and older children will proudly help you stir the batter. Don’t worry about a little mess, it’s all part of the fun! Through the Junior League of Baton Rouge’s Kids in the Kitchen community project, we help children of all ages in our community learn the joy of cooking. Junior League members purchase and transport ingredients to various volunteer locations, where we then demonstrate and work with youth to prepare meals and snacks. During the activities, volunteers will encourage conversation about the benefits of healthy eating. So far our Kids in the Kitchen program has impacted between 350 and 550 children in the Greater Baton Rouge area! Photo by Lauren De Witt. Preheat oven to 400º. 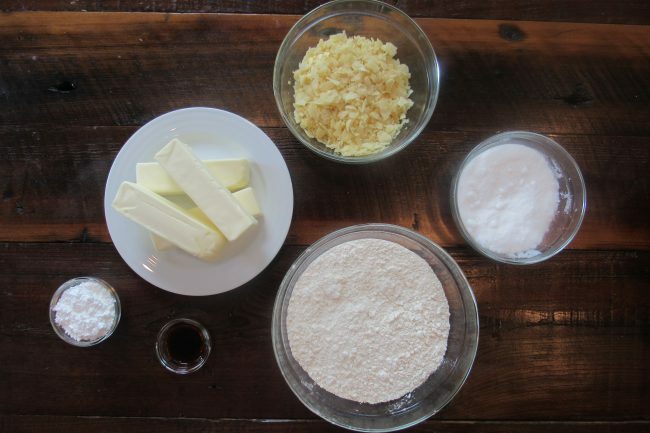 Mix shortening, sugar, and eggs together thoroughly. 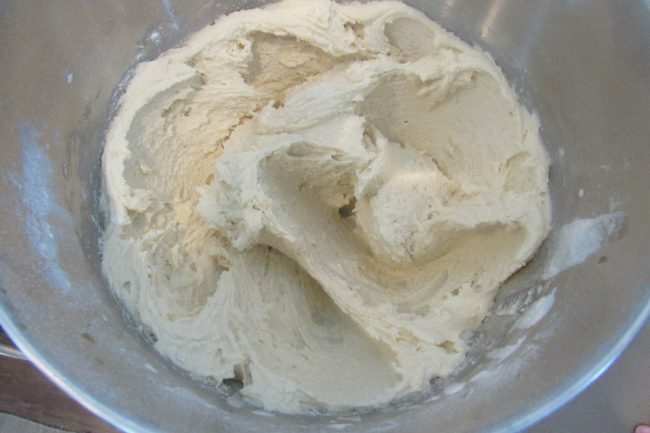 Sift flour, cream of tartar, baking soda, and salt together and add to above mixture. Chill dough. Roll into balls the size of small walnuts. Roll the dough balls into a mixture of 2 tablespoons sugar and 2 teaspoons cinnamon. Place about two inches apart on ungreased cookie sheet and bake for 8 to 10 minutes, until lightly browned but still soft. 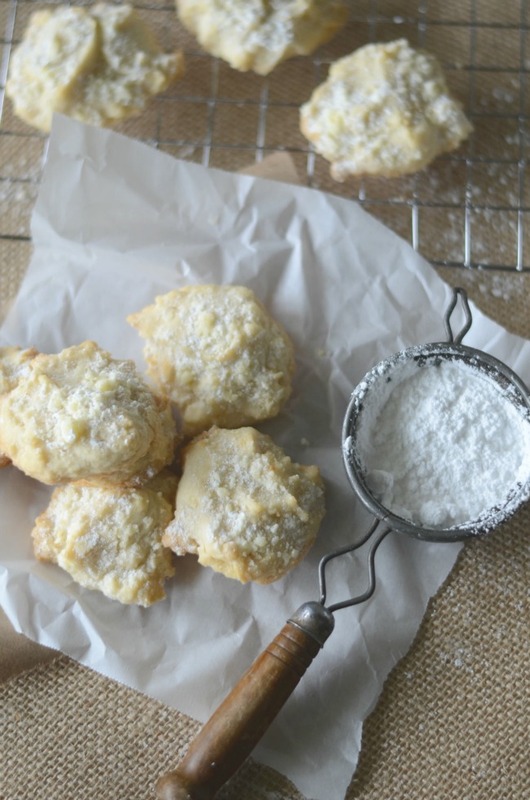 (These cookies puff up at first then flatten out with crinkled tops.) Makes about five dozen 2-inch cookies. 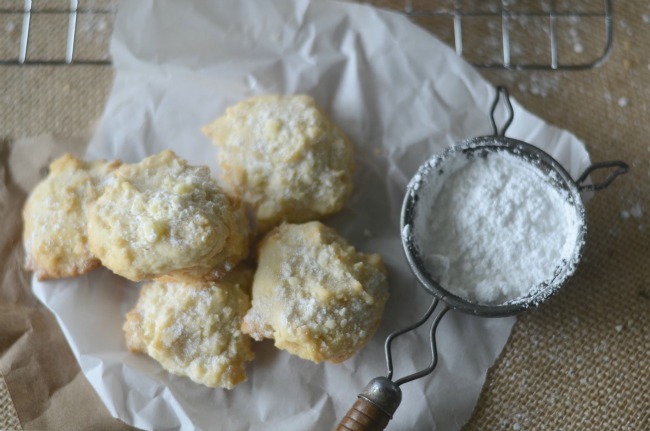 This sweet and salty treat is found in River Road Recipes II: A Second Helping on page 210. Check out our original post here! Add sugar to the butter and beat well. 3. 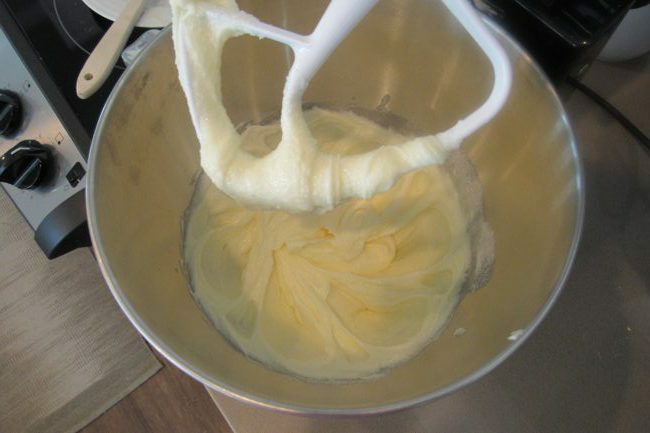 Add vanilla and flour gradually and mix. 4. 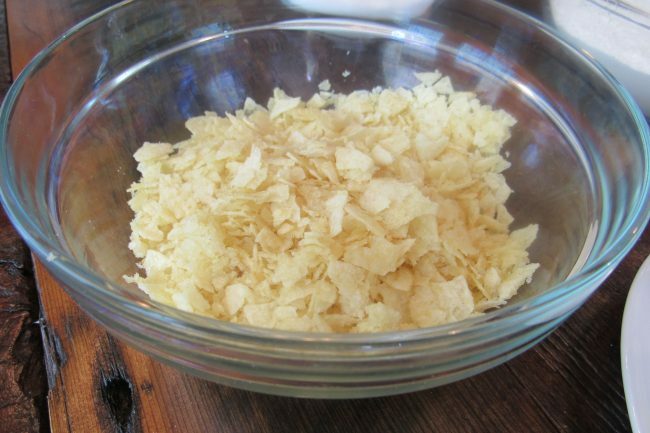 Crush potato chips with your hands and add them, mixing well. 5. 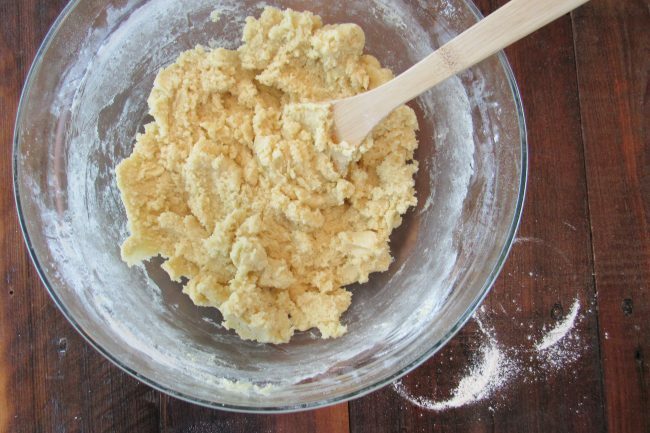 Drop batter from teaspoon onto cookie sheets. 6. Bake at 350° until slightly brown. The cookie baking time will vary dependent on oven type (conduction versus convection) and climate but will typically take between 8-12 minutes. Monitor carefully at 9 minutes. 7. Sprinkle cookies with powdered sugar and enjoy!